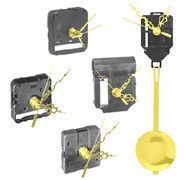 Clock Hands for Seiko and Takane COMPACT Quartz Clock Movements. Popular styles and sizes. 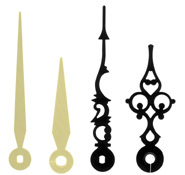 Clock Hands are lightweight metal with elegant Bright Gold or Satin Black finish. Quantity discount pricing available.